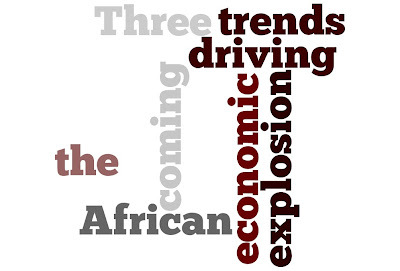 Africa has remained economically stagnant for a long time, but that is all set to change. For decades, African economies have under performed relative to emerging markets like Asia and China where the last few decades have seen a substantial increase in measures such as standard of living and GDP. Many countries in Africa still rely upon the export of natural resources like oil and minerals to make up the bulk of their GDP, and the standard of living has remained stagnant in many countries and even fallen in some. The scene is changing rapidly though, with new opportunities in global trade leading some experts to label Africa the next China. Developed economies tend to consume natural resources at an accelerated rate. Demand for commodities that provide energy or support infrastructure like oil and natural gas rises proportionally with an economy’s productive capacity. The industrial sector continues to account for the largest share of delivered energy consumption and is projected to consume more than half of global delivered energy in 2040. This means that countries with developed economies must frequently seek massive infusions of these commodities from other countries around the globe. Historically, the largest exporters of natural resources in the world have been countries in the Middle East and Africa. Africa is endowed with abundant natural resources, accounting for about 10 per cent of global freshwater resources, 1 per cent of global forest cover, a quarter of mammal species and a fifth of bird and plant species.These resources are relatively untapped, because up till now, the region’s demand for energy hasn't required aggressive exploitation. As Africa’s economies continue to industrialize and grow, they will find ample resources to provide energy and develop infrastructure. Since the advent of globalization, the major industrial sector of the world has shifted from western countries to countries like China and India. 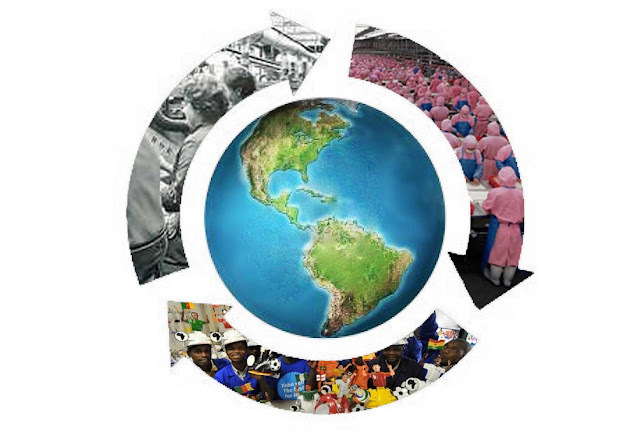 As these economies have subsequently evolved and grown, the same need for efficient labor that moved this ‘global factory floor’ to these countries has begun to put pressure on them to continue their migration. The emerging pattern seems to be clear; as the skilled workers of these factories begin to produce greater and greater productive capacity for their countries, they begin to demand things like higher pay and benefits, which are the hallmarks of rights enjoyed by workers in developed nations. Over time, the need to cheaply manufacture goods makes it immensely difficult to manufacture within the country, and such work is outsourced to less developed countries. So where will the manufacturing base of the world find its next home? That would be in Africa. Signs of this shift are already evident, with China now ahead of the World Bank in African infrastructure investment. The tech industry in particular seems to be at the head of this trend, with IBM expecting revenue from Africa to surpass $1 billion by 2015, and Microsoft backing plans to bring 1 million African small and medium-sized enterprises (SMEs) online, up-skill 100,000 members of Africa’s existing workforce, and help an additional 100,000 recent graduates develop skills, 75 percent of whom Microsoft will help place in jobs. Today this trend has been reversed primarily by one event; the global financial collapse. Chiefly, and perhaps ironically, the global financial collapse, and its associated economic fallout, has led to a complete paradigm shift for the world's skilled labor force. Emerging economies are not only faring better than most of the developed world in the current recession, they also continue to grow, drawing back their expatriates and, in some cases, even luring new high-skilled citizens of the US and Europe. This sudden reversal has created a new opportunity for African countries to leverage the talent and connections of their global diaspora. Whereas in the past the young entrepreneur from Ghana or Nigeria may have looked to countries like the U.S. to best leverage their skills and take advantage of opportunity, today they are more likely to weigh the benefits and risks of travelling abroad to an uncertain future, and recognize the opportunities presented in their own country. The image of Africa has already begun to shift in western media, as stories reflecting these trends have become more prevalent. What do you think about the prospects for Africa in light of these trends?